First report at 13 o’clock. Today, on the day of voting in the second round at the Local Elections 2013, the observers and activists of Civil’s prevention working groups again registered numerous cases of irregularities and incidents in many municipalities in which there is a second round or repeated voting. 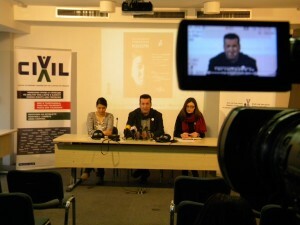 Today, on the day of voting in the second round at the Local Elections 2013, the observers and activists of Civil’s prevention working groups again registered numerous cases of irregularities and incidents in many municipalities in which there is a second round or repeated voting. There is a particularly strained atmosphere in Kochani where the presence of the police is very noticeable, especially after yesterday’s arrests for which there are allegations that the people under arrest are members of a certain political party. There is also an increase in the number of accompanied voters. 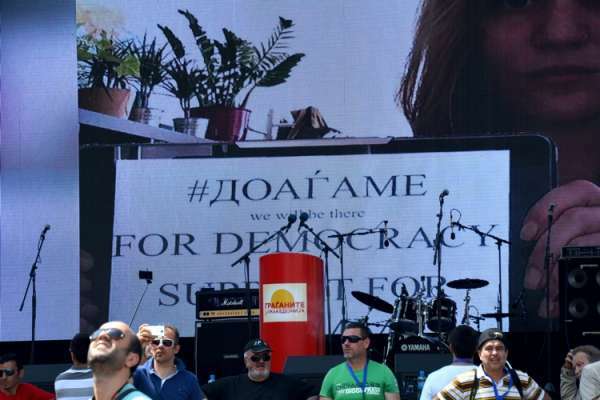 In Veles, one of Civil's observers who is accredited by SEC and had a valid document from Civil was prevented to enter into the polling station 2147. An attempt of taking a photograph was registered at the polling station no. 2164. In this municipality, the observers of the Poverty Platform NGO were removed from the building by police, only to later on be allowed access to the polling stations. Party activists of a certain party were noticed standing in front of the polling stations and pressuring the voters. An attempt of taking a photograph of the ballot was also registered in Gjorche Petrov at the polling station no. 2556. In the municipalities Gj. Petrov, Aerodrom and Karposh in Skopje, but also in Tetovo the election silence was broken by distributing leaflets in favour of certain parties, i.e. candidates. In Strumica, our observers inform us of a strong presence of the police and strained atmosphere. As it is known, this morning in Strumica one ballot box was broken and shots from an air gun were fired. In Karposh, at the polling station no. 2593 a case of a deceased listed in the Voters' List was registered. The same person was also on the list in the first round of voting. In the municipality of Centar, in Kapishtec, the voters’ names were publicly read aloud. In the municipality of Chair, party activists inside the polling stations had lists and were recording the voters, and there were also cases of voting by not folding the ballots (2945 polling station). There was organised transport of voters. Several cases of family and group voting were noticed, as well as an attempt to vote with someone else’s personal identification card. 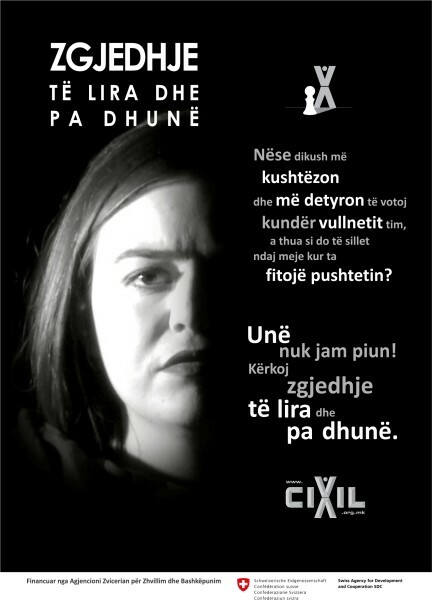 Such cases were also noticed in the village of Chajle, municipality of Gostivar. 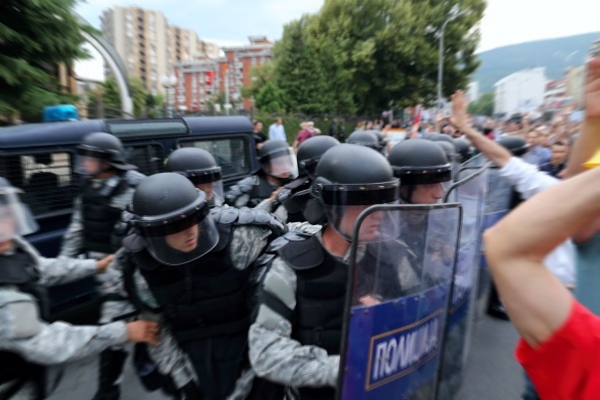 We received information from Tetovo that activists of a certain party were offering money for votes in front of Cyril and Methodius Primary School. In Resen, today again, vehicles from Albania could be seen, which are assumed to transport voters. 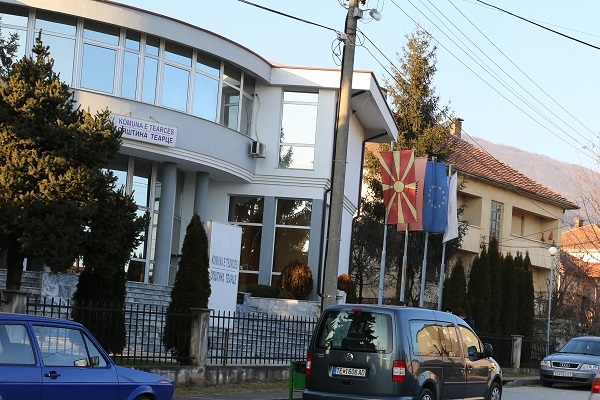 Our observer at the polling station 1020 in Kumanovo was pressured by a party activist of a certain party not to take notes and statements by the citizens. After the end of the electoral process we will publish concrete information specifying the participants and party’s activists who partook in the incidents and irregularities at the elections. 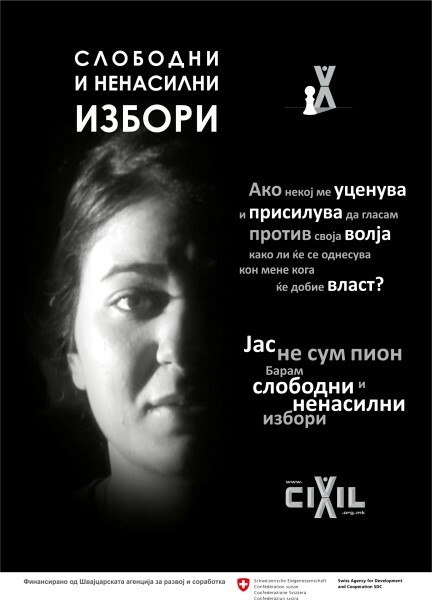 Civil is also monitoring the electoral process in the second round of the elections, within the Free and Nonviolent Elections Project, with around 140 people deployed mainly in the municipalities in which there is a second round or repeated voting. Civil calls upon the citizens to report all irregularities to Civil at 02/5209176 or at civil@civil.org.mk and/or in the Helsinki Committee at 02/3119073.